Tooth erosion had been used to define loss of tooth structure. It is defined as, “the loss of enamel and dentin caused by acids unrelated to bacterial action (mainly food we consume or acid reflux)”. 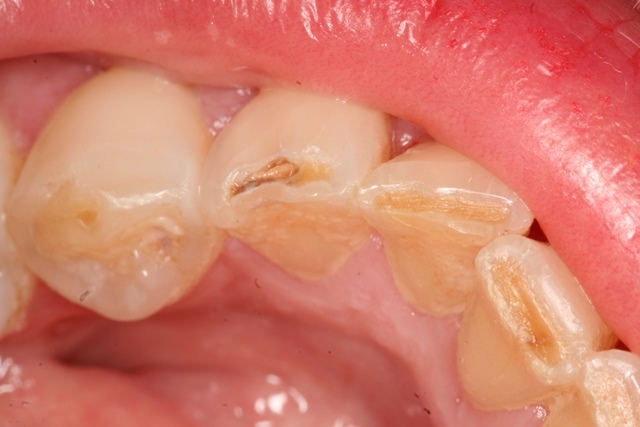 More recently tooth erosion has been recommended to be replaced with Biocorrosion to better define this type of tooth wear. Exposure of dentin is important to prevent bacterial invasion into porous dentin which may cause rapid tooth decay (Cavities). The images below shows what a tooth erosion looks like and how it can be restored with white fillings (tooth colored materials, bondings). A young teenager presented to have his teeth checked. Cusp tips of this first molar are worn and become concave, leaving dentin (yellow) exposed. 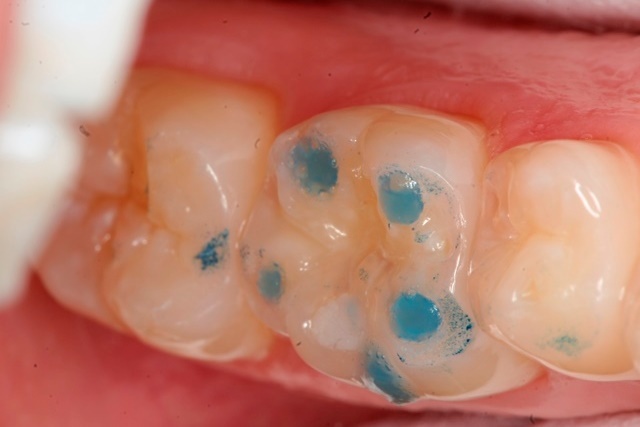 Areas with wear were conditioned chemically (Blue) to receive the White Bonding. this is a rather conservative approach and does not require any drilling. Tooth wear were filled with white bonding to protect the exposed dentin and prevent tooth decay. 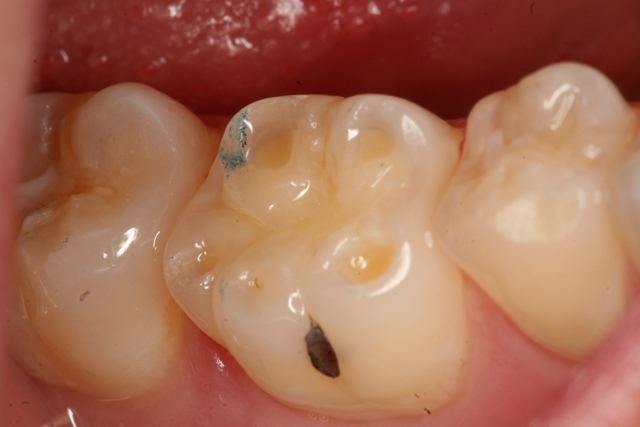 Exposed dentin can decay more readily when it is not covered with Enamel (Look at the photos below). 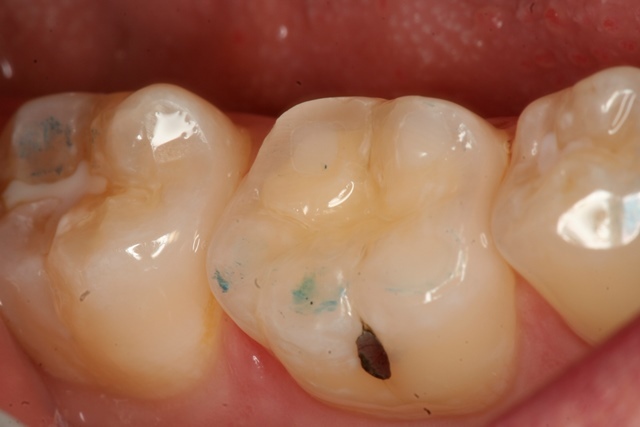 Placing a small bonding can prevent more extensive fillings . Exposed dentin on the tip of this lower canine has become decayed. A small bonding could have prevented this.